Like Phoenix, a mythical firebird in Greek mythology, which burned and then easily arose from the ashes, Russian film industry starts growing through a painful recovery. Despite a devastating collapse caused by the world economic crisis in mid-2008 and early 2009, Russian film industry is again slowly on the rise. Box office. It’s still a far cry from the situation of early 2000s when the film business in Russia was galloping with the domestic box office growing from $25 million in 2000 to over $700 million in 2007. 2010 – Shrek Forever After ($51,4 mln), Alice in Wonderland ($42,1 mln). The admission rate in movie theaters rose by 14 percent during 2010. An estimated Russian box-office in 2010 may reach $900 mln. 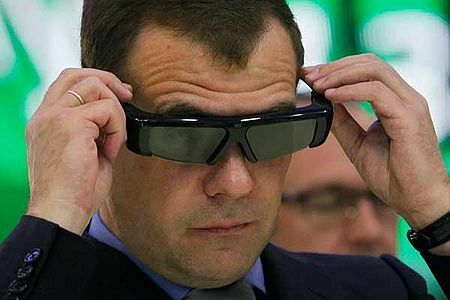 Movie theatres: Russia Goes Digital. The number of new theaters increased by 5 percent in 2009, reports the NevaFilm analytic research made for the European Audiovisual Observatory. Overall digital penetration of modern screens in Russia increased by 23 percent by July 2010. Nearly 300 new screens with digital projectors for 3D films opened the launch of Avatar and about 80 screens for Shrek Forever After. The report estimates, that admission rate in movie theaters rose by 14 percent during 2010 boosted by revenues from digital copies and 3D films. The latter grew 2,7 times – from 15 in 2009 to 40 in 2010. Film Production. The Ministry of culture in Russia, the major investor in local productions, did not invest in any new projects in 2009. But in 2010 Russia restructured and then increased investment in feature film productions, the research reports. The research doesn’t specify that the state-support provides 250 mln rubles ($8.5 mln) to each of ONLY eight selected Russian film producers, which has reduced to zero the slim chances to win state-financing for predominant majority of domestic production companies. Many of them had to freeze their feature film projects and start shooting small-budget documentaries backed by the Ministry of culture.